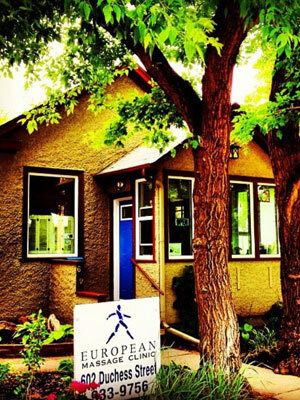 Since 1998, European Massage Clinic has been providing therapeutic massage in the central City Park location of Saskatoon. Our goal is always to make your experience a relaxed, restorative and positive one. Our therapists use their many years of experience to manipulate the soft tissue of the body to provide you the client optimal health and well-being. European Massage Clinic is owner operated and housed in a friendly, charming character house in which each room allows for natural sunlight. Many therapists have been here 15 plus years and are pleased to have the opportunity to meet you. For natural pain relief and relaxation therapies that meet the needs of your lifestyle, call us today to make an appointment with one of our experienced registered massage therapists.